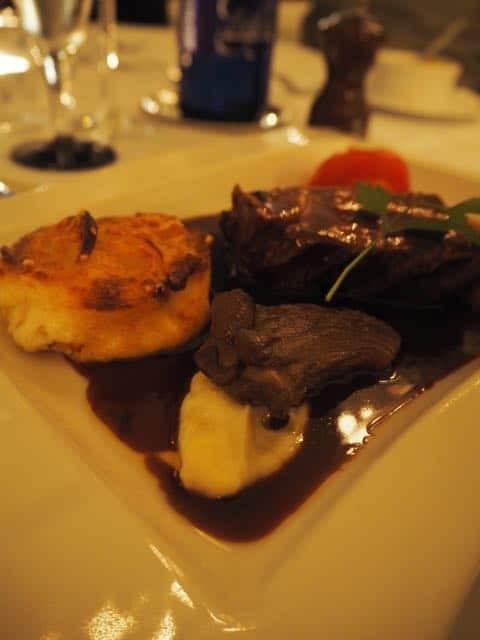 I don’t profess to be a luxurious foodie by any means, my favourite type of meals are ones that are either simply cooked and make the most of the ingredients or come with a unique experience or view. This month’s travel link up is the perfect excuse to go through some of my travel memories and flashback to my best eating experiences around the world. 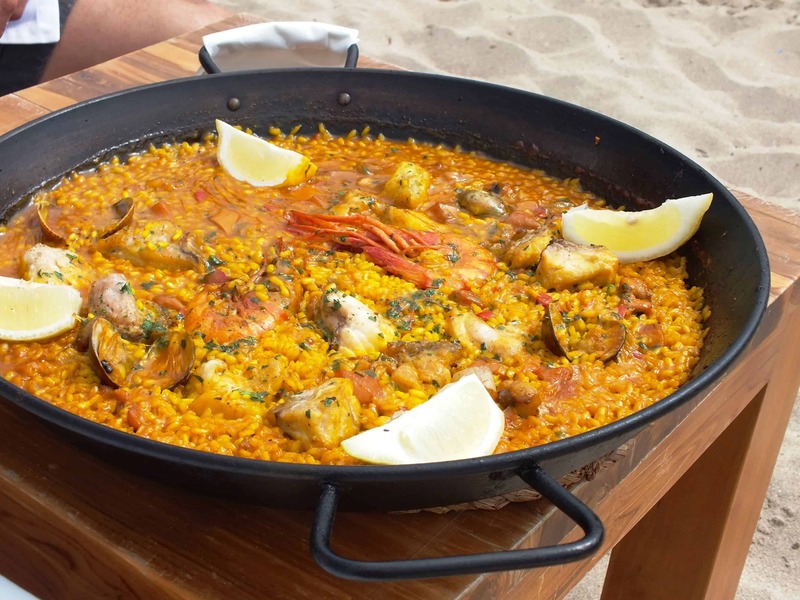 I’ve already written about the delights of our off-season Ibizan holiday, we almost had beaches to ourselves and were impressed by the relaxed vibe on the island but the best moment of the whole holiday was this paella. 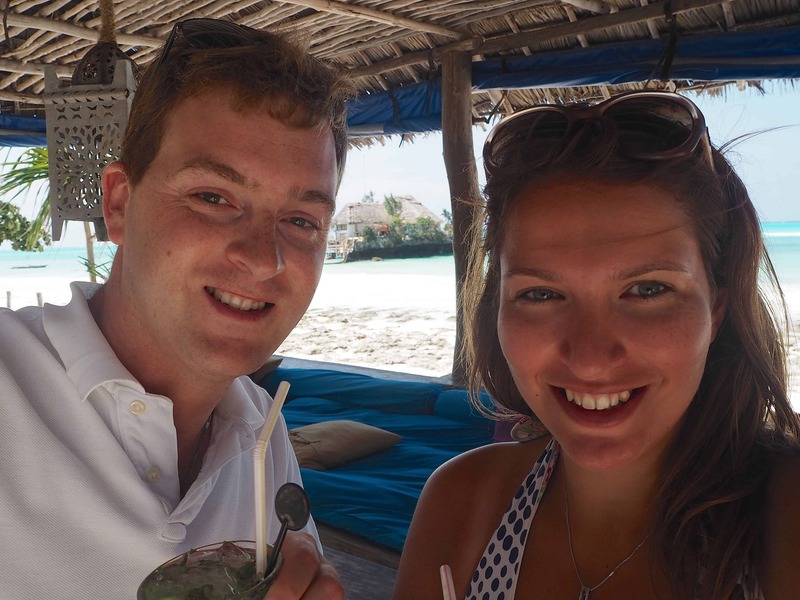 We’d come to the Cala Bassa beach and found ourselves having a few very expensive drinks at the beach club when we became quite hungry around lunchtime. Looking at the menu we both knew we wanted Paella but the hefty price tag made us consider if we did in fact really want it. I am pleased to say our hearts won out over our heads and our stomachs were very much content after eating this delicious feast. 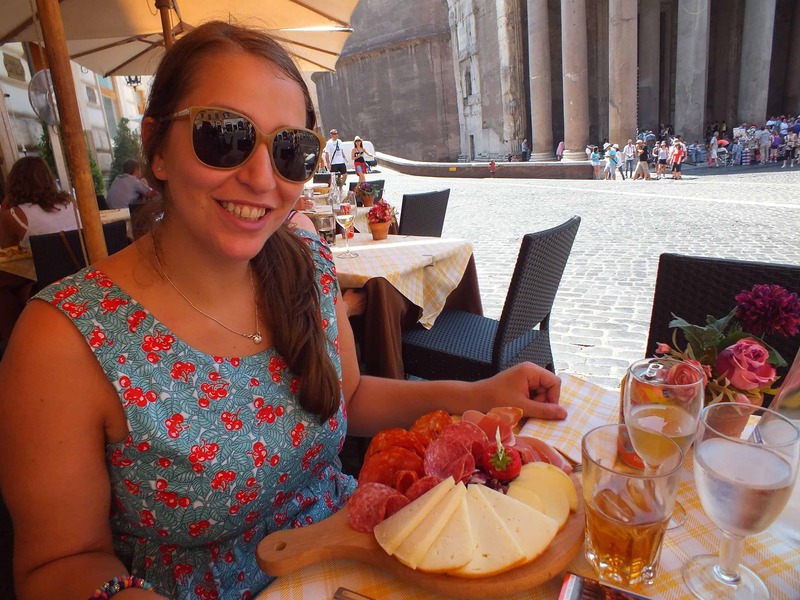 All the food in Italy! 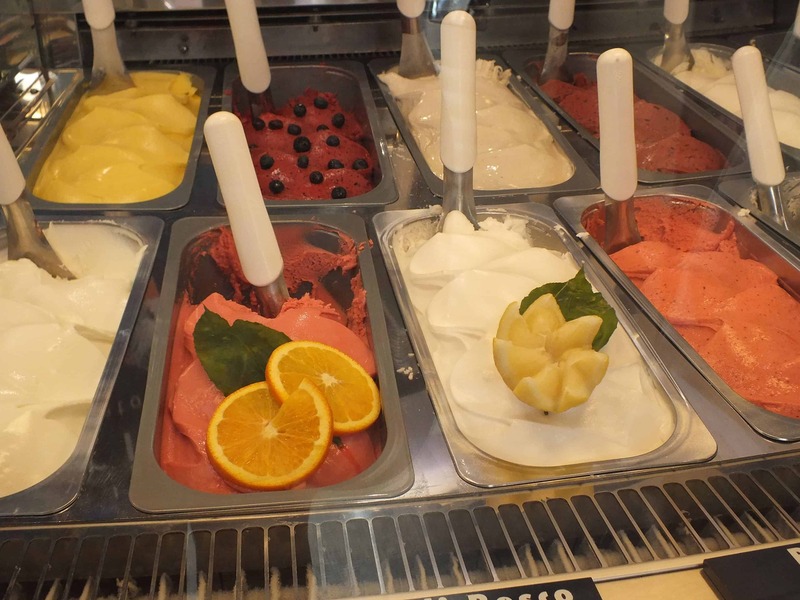 When I think of my favourite meals I am immediately drawn to plates of anti-pasti, fresh pasta, thin based pizza and creamy gelato. I don’t think I’ve ever eaten a bad meal in Italy and even the smallest and most un-assuming of restaurants have never let me down. 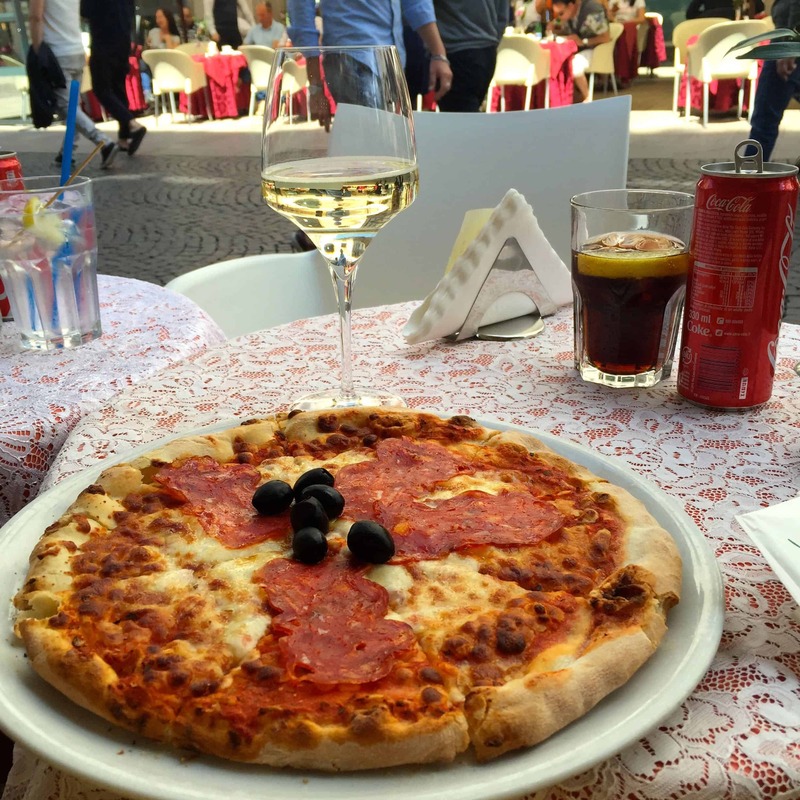 From Rome to Milan to Verona, the options for dining out are plentiful and you can take you pick from larger tourist driven establishments or smaller family run type places – either way you really can’t go wrong anywhere as I truly do believe the food in Italy is hard to beat. 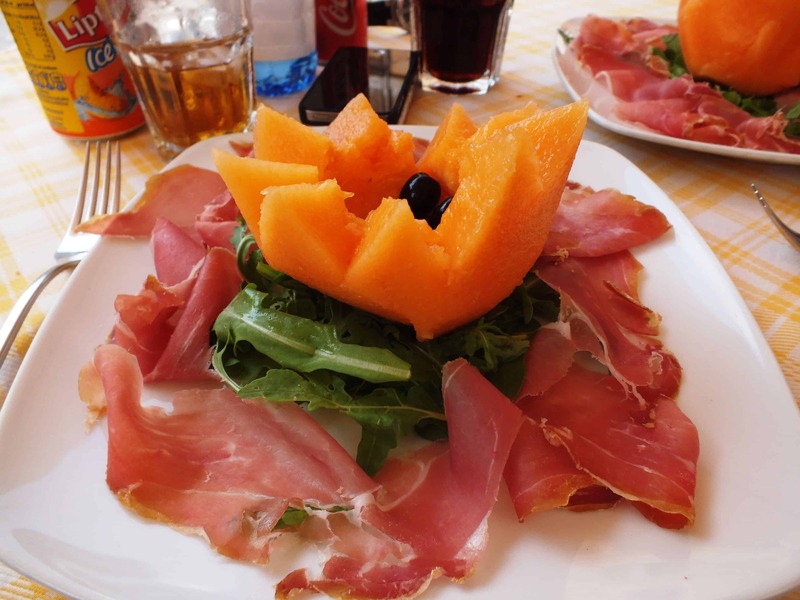 And of course an added bonus of eating in Italy is the options for what tipple to pair with your meal, I am a huge fan of Italian coffee, wine and beer so this just makes eating in the country even more pleasurable. Think I may have just talked myself into booking another cheeky Italian mini-break in the future! 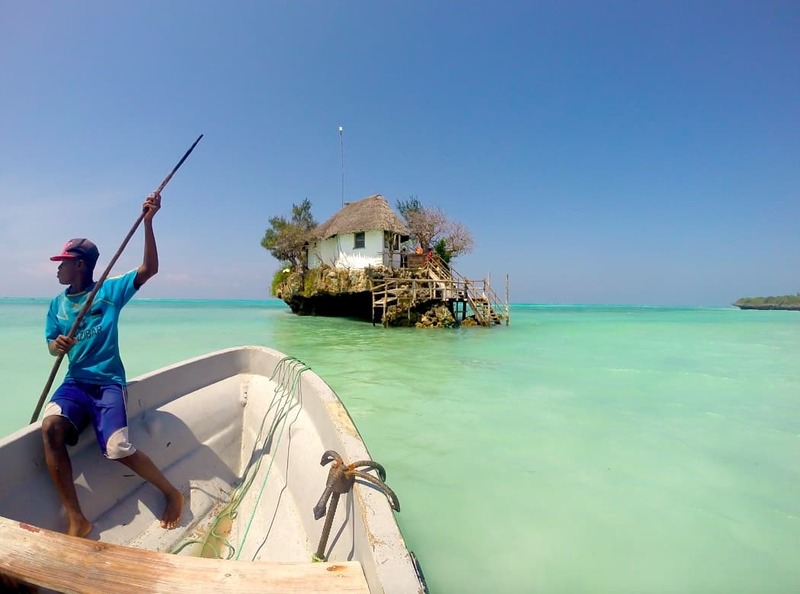 When booking our Safari holiday last year I knew I wanted to pair this with a hop over to the Indian ocean island of Zanzibar. I’d seen so many pictures of The Rock Restaurant on Instagram and Pinterest and was desperate to visit. I promptly made a reservation but on talking to our dive centre who had really good knowledge of the area they advised us to not eat at the Rock but instead just stay for drinks. They instead recommended a small beachside restaurant just opposite the Rock where we would get a picture perfect view but also a meal that was much better value and much tastier. 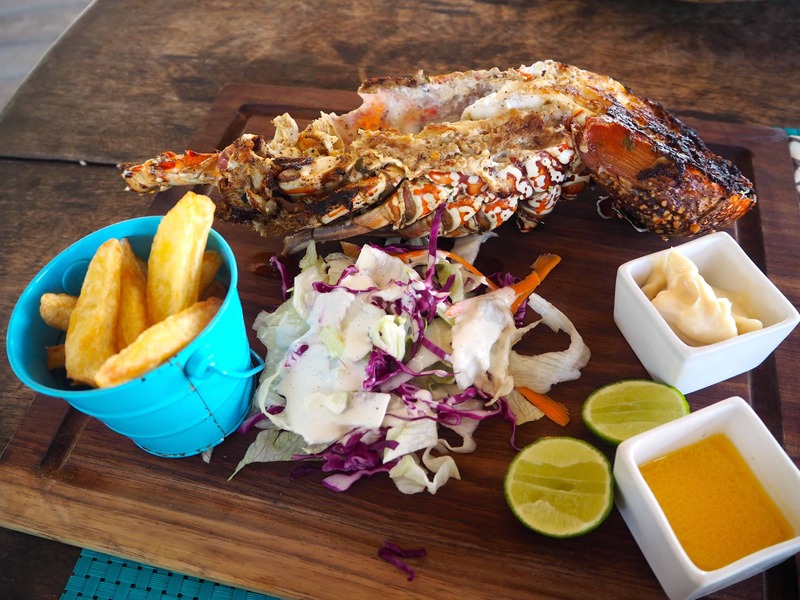 Both the husband and I opted for the fresh lobster as soon as we saw it on the menu and for under £20 for two dishes and two rounds of drinks we were glad we’d opted to eat at Upendo. I’ve always loved Ribs and ever since me and the other half had our first date at a ribs house they’ve become something of an obsession. When I heard about a restaurant that claimed to serve the best ribs in Europe I knew it was one to bookmark for a future visit. 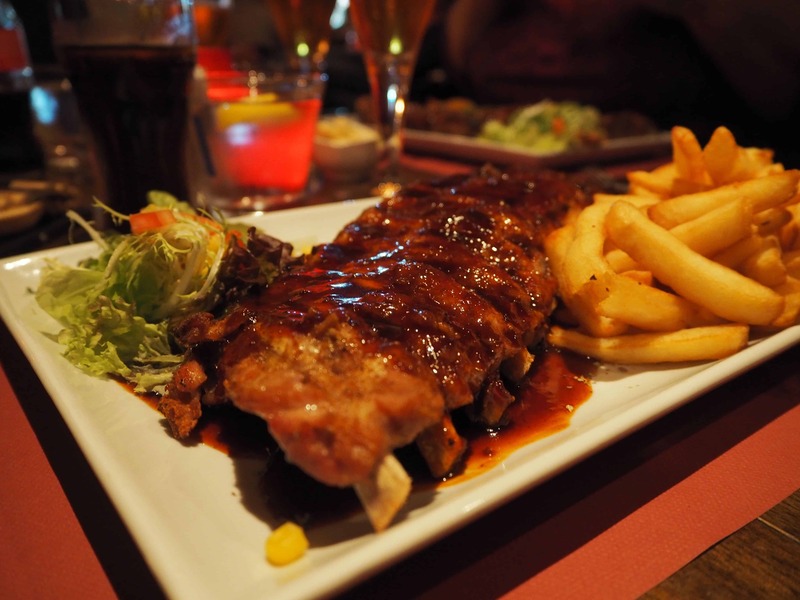 I’ve been lucky enough to visit Ribs n’ Beer in Bruges twice and both visits were sheer perfection. Great flavour combinations (think smokey BBQ teamed with spirits or chocolate and beer) meat that falls away from the bone, huge portions, great sides and all-you-can-eat Ribs! There are so many other great restaurants in Bruges that I really need to do a where to eat post in addition to my what to do guide as many people visiting do just think the Belgian cuisine is just moules and frites but it’s so much more, another great restaurant to add to your list for Bruges is Park where you can sample a tasting menu of typical Belgian dishes with a modern flair in beautiful surroundings. There’s only thing I love more than Ribs and that’s steak. 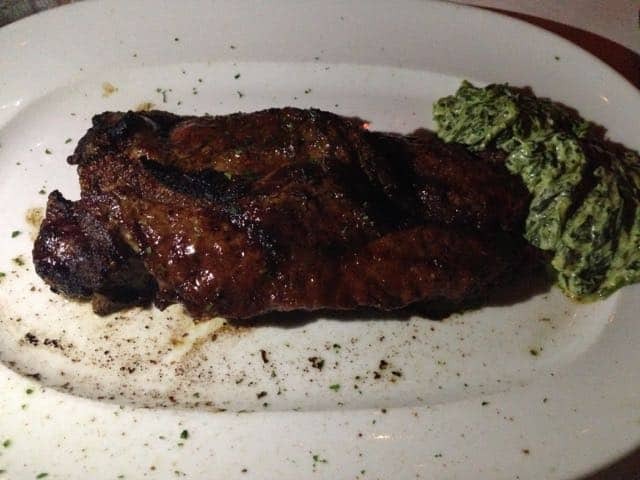 It has to be medium cooked, red but not bloody and it has to melt in the mouth, ideally it should come with simple sides such as fries/chips and creamed spinach. On arrival in LA after a gruelling road trip from Las Vegas our concierge at the Four Seasons suggested we take the hotel car to Maestro’s a popular and well-known steak restaurant. 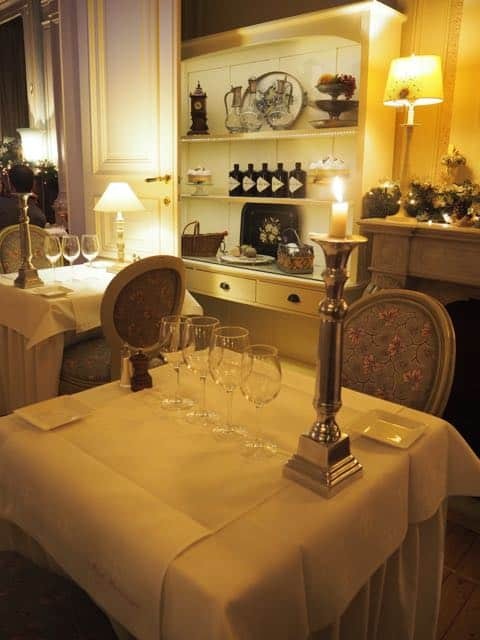 I take these suggestions by concierge staff and those in the know very seriously and am so glad I did as myself, husband and the two friends we were travelling with were completely silent during our meal. Not because we didn’t have anything to talk about but because it would be have been sacrilege to disrupt such a perfect meal. Everything was perfection. I didn’t even take many photos as I just wanted to get stuck in….wouldn’t you?! 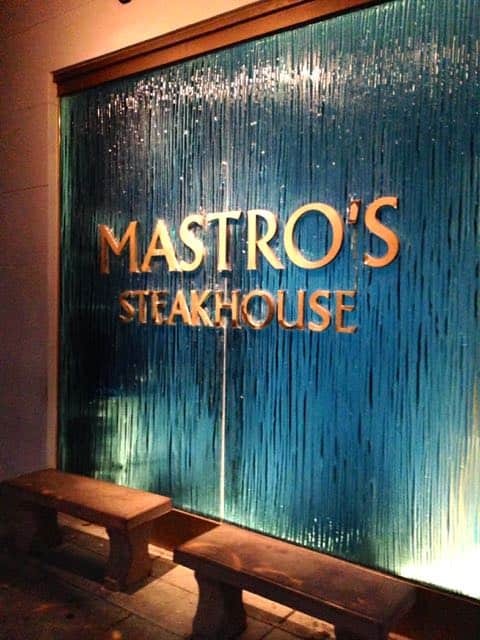 Maestro’s is also recognised for appearing in the hit show Entourage and regularly plays host to some of Hollywood’s finest so your steak could come with a side of celebrity spotting but it’s worth a visit for the steak alone so make sure you get a reservation in advance. 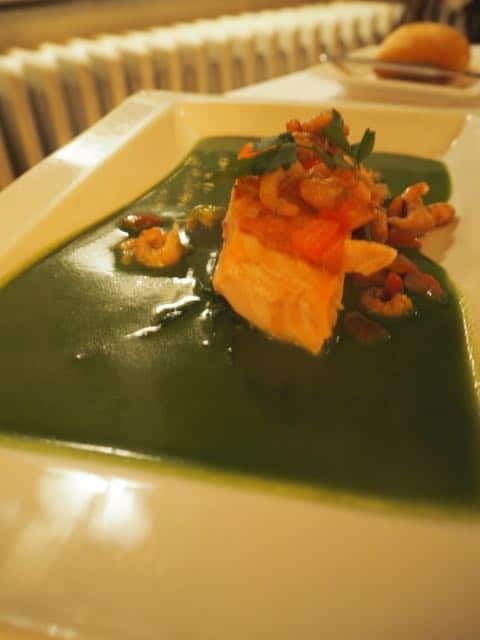 I’ve loved this month’s travel link up topic and found it so hard to narrow down my favourite food experiences as to be honest I just enjoy the pleasure of dining out so much that I could have written so much more! Thanks as always to the link up hosts Angie, Jessi, Emma and this month Tanja. 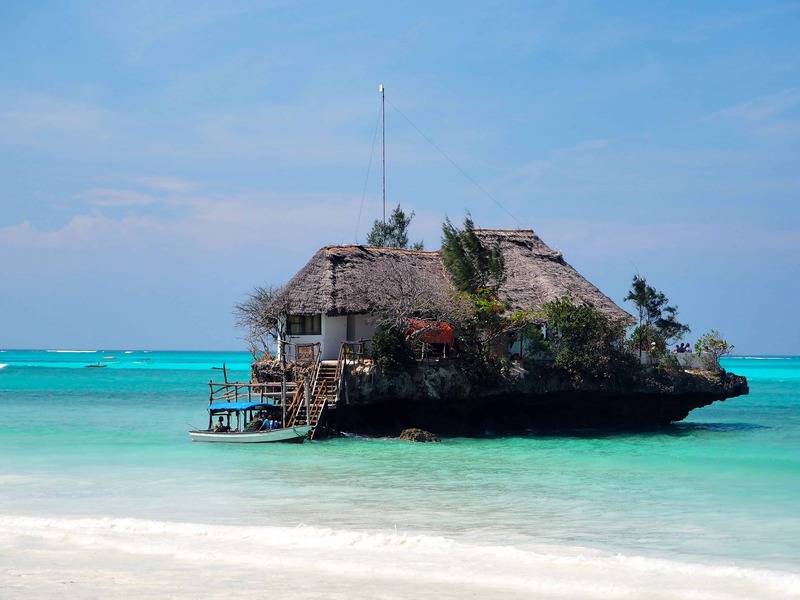 I’ve just pinned the Rock Restaurant for a one day trip to Zanzibar – we went to somewhere for drinks in Jamaica that was similar, but this looks incredible!